Sensex rejig is likely to have skewed your stock portfolio: What should you do? With defensives exiting, financials and cyclicals have taken their place. Over the past three years, the composition of India’s bellwether indices have changed dramatically. The space for defensive sectors, in particular, has shrunk rapidly. After the latest rejig of the BSE Sensex, the weight of defensive sectors—IT, pharma and FMCG—has fallen to 26%, from 39% of the index three years ago. What does this mean for investors? While FMCG companies continue to play a big role in the index, the same cannot be said of IT and pharma firms. Infosys and TCS have seen their weight in the benchmark index shrink. According to a Motilal Oswal report, the weight of the pharma sector is the lowest in eight years, with Sun Pharmaceuticals the only drug-maker in the index. 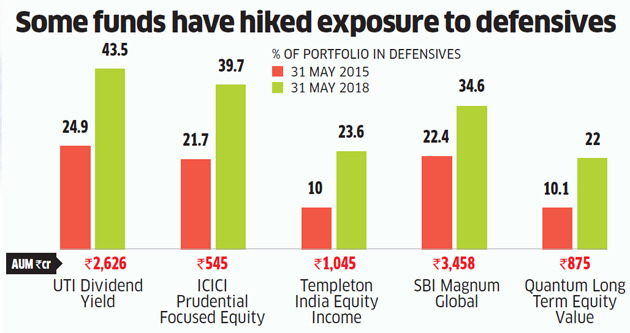 What should concern investors is defensives in a portfolio act as a cushion in choppy markets. Defensives tend to exhibit a linear growth and can sustain healthy performance no matter what the broader economic conditions. Their stock prices typically exhibit less volatility and may even be buoyant in harsh times. With defensives exiting, financials and cyclicals have taken their place. However, fortunes of these businesses ebb and flow in tandem with the economic climate. Cash flows can be erratic and profit margins can fluctuate wildly. Share performance of these companies reflect these vagaries. With defensives pushed out, the indices may effectively lose some of their in-built ability to withstand turbulence, becoming more susceptible to volatility. But the definition of defensives is also prone to changes from time to time. “What is termed as a defensive bet at one point of time may not qualify for the tag at another. 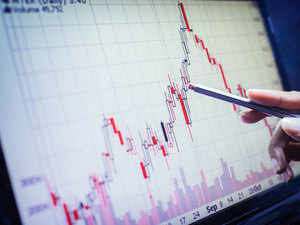 Similarly, more volatile sectors may grow to fit the bill of a defensive theme by virtue of sustained earnings growth,” points out Pankaj Pandey, Head of Research, ICICI Securities. For instance, private sector banks and select NBFCs with a strong retail franchise have been able to clock consistent growth in the past few years despite slower credit offtake. These have emerged as defensive bets even though they are not traditionally bucketed in this category. Mutual fund investors may also find themselves underinvested in traditional defensives. Many equity funds follow a benchmark-conscious approach, placing bets with an eye on the composition of the underlying index. These typically shy from taking substantial deviations for fear of underperforming the benchmark. Given this scenario, some equity funds will also reflect the same skew towards cyclicals. If you are invested in these funds, your presence in defensives will also be at a substantial low. Some large-cap funds are particularly vulnerable—the skew is more prominent in frontline indices that serve as the benchmark for many of these funds. Also, with large-cap funds now mandated to strictly invest atleast 80% of their corpus in the top 100 stocks by market capitalisation, their portfolios will be a closer reflection of the underlying index. Experts insist defensives have a key role to play in a portfolio. If your funds are unable to provide adequate protection on the downside, the return profile will suffer in the long run. “Containing volatility, and not merely capturing more of market upside, is the key to funds building wealth in the long term,” says Vidya Bala, Head – Mutual Fund Research, FundsIndia. In this scenario, take note of the underlying portfolios of the funds you are invested in. Over the past three years, several equity funds have cut back on investments in traditional defensives. On the other hand, several funds have hiked exposure to this segment. Most of the funds that have taken favourably to defensives belong to the multi-cap category. “Investors may consider opting for multi-cap funds where the fund manager tends to enjoy more discretion in stock selection,” says Rajeev Thakkar, CIO and Director, PPFAS Mutual Fund. 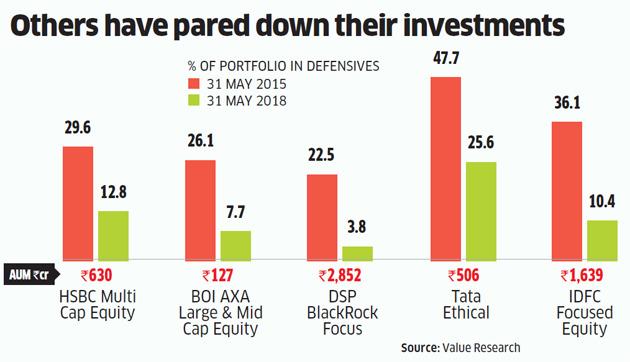 Those seeking higher presence in defensives may even consider investing in pure play sector funds, suggests Vikas Gupta, CEO and Chief Investment Strategist, OmniScience Capital. However, investors must not put more than 5-10% of their portfolio in such funds, keeping diversified equity funds as the core of the portfolio, he adds.